This historical beer mug has a wooden lid. 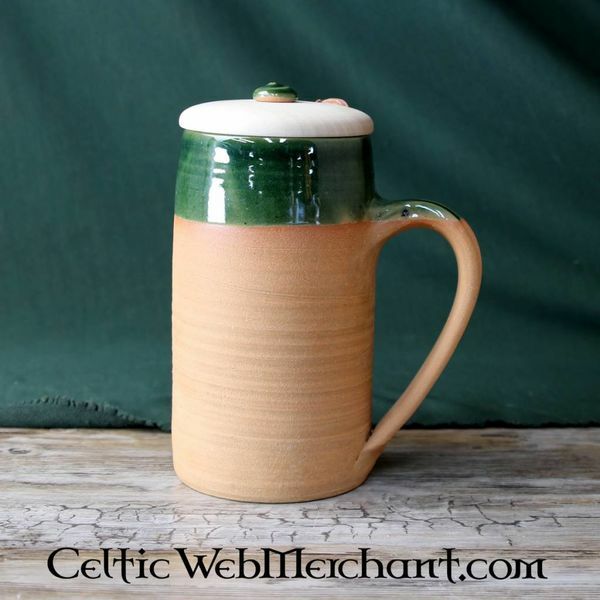 It is traditionally made in the medieval way and has a 0,5L volume. They are handmade on the potter's wheel from orchery clay and heated to a temperature of 1.200°C. 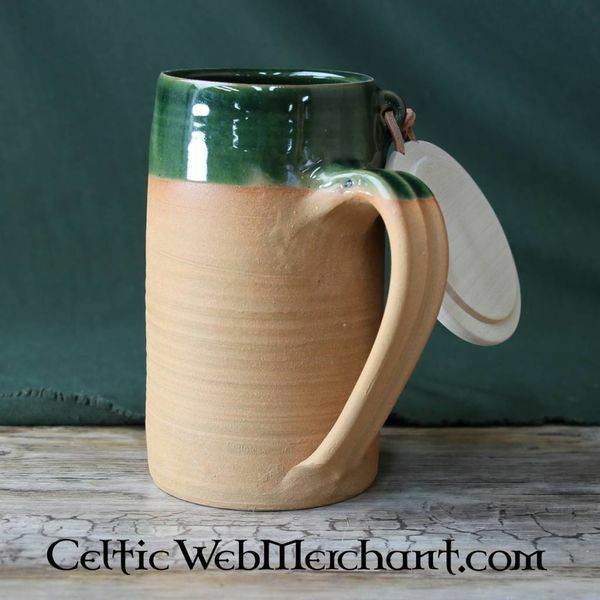 Greenware is pottery with a green glazed layer on the complete surface or parts of it. 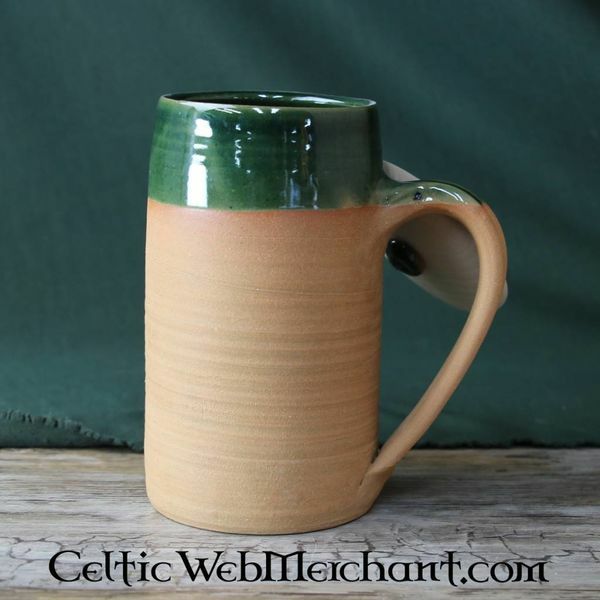 This type of pottery was already used around the 13th century, mainly on the British Isles. In the 14th century, 10 to 20% of all the pottery used in London consisted of greenware. On the mainland of Europe, greenware's popularity increased from the 15th century onward.